Well designed shelf which perfectly blend in... Well designed shelf which perfectly blend in with the Blog furniture collection. Hanging shelf equipped with a two-door. This... Hanging shelf equipped with a two-door. This shelf can be mounted in two different ways, depending on preference. Price for one shelf. 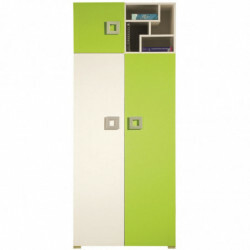 Hanging shelf (cabinet), a 2-door, 2 shelves on... Hanging shelf (cabinet), a 2-door, 2 shelves on which you can put some small items. Hanging shelf with compartments. This furniture... Hanging shelf with compartments. This furniture is going to be a perfect place for books. Wall shelf with compartments that is a perfect... Wall shelf with compartments that is a perfect place for books to stay on it. Hanging shelf with numerous compartments of... Hanging shelf with numerous compartments of different sizes. Shelves in the children's room - there are never too many of them. In addition, in this category you will find accessories and extensions. Hanging shelves or extensions are a practical piece of furniture in children's and youth rooms. Thanks to them, we do not occupy space on the floor, and we get a place where young people can store various useful things, including toys or books. Shelves that we recommend are made of very good materials, with attention to details. Our offer of furniture and accessories. 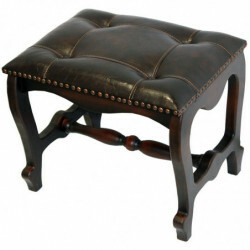 We offer products in many sizes and shapes, which will harmonize well with interiors in every style. For lovers of classic and simple designs, we offer functional and very practical shelves from our classic and universal collections. They will perfectly fit both girls 'and boys' room. In our Strade Furniture store you can also find shelves with a modern look and a universal shape. These are models with an original and attractive appearance which will certainly meet the approval of young people. All products are solidly made and durable, which means that every day many customers decide to buy them. You may also join them!